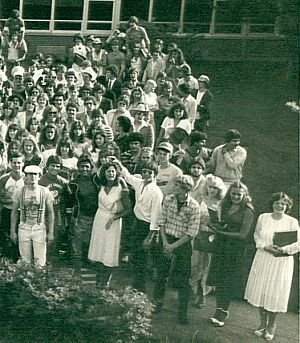 Here is a Special Link to 1981 Graduates Guestbook . . .
No charge either night - Get together with friends, food, drink, and music!! A reunion is being planned for July 1 & 2. Everything is still in the early planning stages. If you are on facebook, be sure to join the Grand Island High School Class of 81 facebook group. We are presently in the early planning stages of our reunion. Please go to Facebook and look for the Grand Island High School Class of 81 group page. We will put information on that site as it is confirmed. We should get some pictures on there as well! If you have any you would like to share -- please do! 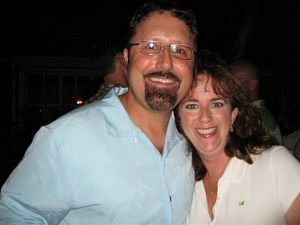 The Grand Island High School Class of 1981's twenty-fifth reunion was held Saturday, July 1, 2006 at the Village Inn. Over 200 people attended and a 50/50 raffle raised funds for the Grand Island Foundation (for Education). Photos will be identified at a later date. 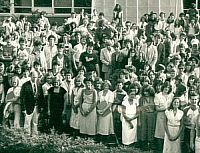 Members of the Class of 1981 are invited to get together for their 25th reunion at 8 p.m. Saturday, July 1st at the Village Inn, 1488 Ferry Road in Ferry Village. A cash bar and food will be available. A tent outside will be for the exclusive use of the Class of '81. "Mike Carr is planning all sorts of great ideas for food!" 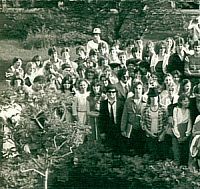 The Class of 1981 will hold its 25th reunion July 1, 2006 with a cash bar, food available, DJ, and casual and fun! Place to be announced shortly. For more information or to forward your address, email Maura McCowan Rustowicz at macorust@adelphia.net. The Class of 1981 has compiled a database. For more information or to forward your address, email Maura McCowan Rustowicz at macorust@adelphia.net.